While practicing Friendship, Unity and Christian Charity, we will work to strengthen our Roman Catholic Faith, our Country, and our Communities; and perpetuate the religion, history, culture and traditions of our Irish heritage. The Ladies Ancient Order of Hibernians, Inc. is a national organization officially recognized in Omaha, Nebraska in 1894 as the “Daughters of Erin.” Since then the LAOH has been growing and evolving while remaining true to our motto of “Friendship, Unity and Christian Charity”. The original purpose of the Ladies was to protect young immigrant Irish girls coming to the United States, to assist them in securing employment, give them the opportunity to maintain their culture, and keep them from becoming homesick and discouraged. 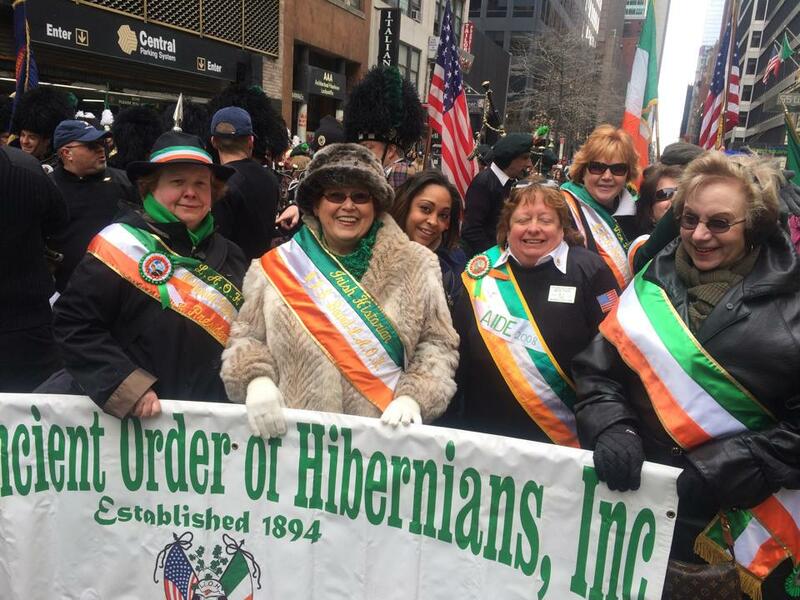 Today, the purpose of the Ladies Ancient Order of Hibernians, Inc. is to promote Friendship, Unity and Christian Charity, to foster and sustain loyalty to the Roman Catholic Church and to foster and sustain loyalty to the United States of America among its members, to aid and advance by all legitimate means the aspiration and endeavors of the Irish people for complete and absolute independence, to foster the ideals and perpetuate the history and traditions of the Irish people and to promote Irish culture. We are not a political organization. We do not endorse candidates. However, our members are involved in the legislative process. Our members and our Order as a whole support legislation that supports issues related to peace in Ireland, freedom for all Irish people, and our beliefs as Catholics. The LAOH, Inc. is the largest women's organization in the United States with more than 10,000 members nationwide. New York State is home to 4,000 members and strives to expand our sisterhood by establishing divisions in 80 percent of the counties in New York State over the next 8 years. We invite any woman who is Irish by birth or descent, or is married to an AOH member, or is the mother of an LAOH or AOH member, is a practicing Catholic, and is at least 18 years of age to join our Order. The Ladies Ancient Order of Hibernians, Inc. is a 501c3 charitable organization. Donations may be tax deductible in accordance with IRS guidelines. Indicate desired charity in the memo section.